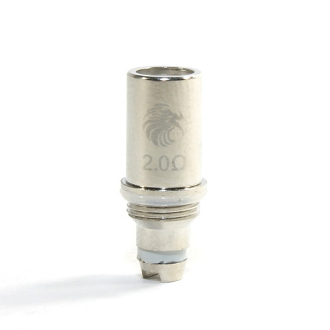 The Spartan BTC Atomizer from Horizon has coil heads that are replaceable. This means that when your wicks burn out in the atomizer, you are able to disassemble the atomizer, remove the burned out coil heads and replace with a new one. This will save you money and will allow you to extend the life of your atomizer. *Wicks have an average lifespan between 10 to 20 days and is dependent on the amount of vaping. When the wicks wear down, it may begin to leak and can/will taste burnt.